Posted on December 9, 2015 by Tom Richardson Posted in How to..., Phone Spy Apps Blog . Smartphone is the device that controls our lives. We cannot imagine our lives without phones, which have Internet connection, can carry gigabytes of information, all our contacts, personal life and work. For many people smartphone is the reflection of the file, the apps installed there are used daily, pictures are taken all the time, and messages are receives each minute. For adults smartphone is really the necessity, but for the kids it is not the thing they should dedicate all their free time. That’s is why responsible parents should find the way to manage child’s smartphone life with the possibility to block incoming calls on the target device. Why parents should control income calls? As you have probably noticed, your child may spend a lot of time not only browsing the web and playing games, but also communicating to friends. Frequently kids and teenagers use different applications to meet new people and start to communicate with them even not knowing who they are. Unfortunately, there are a lot of people who look for the teenagers and underage kids to harass them, threatening and terrorizing them. They may involve kids into sexual relations, send abusive photos and ask to send kids’ photos back. You need to be sure that none of the contacts of your child behaves in such a way. With the help of special software you may find out how to block incoming calls on your kid’s device. If you notice that someone threatens your child, you may stop that just with one click at your private account. 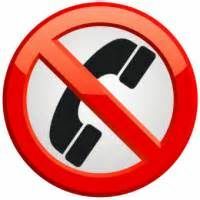 What applications to use for calls blocking? Of course, remote blocking of income calls is not the option that the smartphone itself provides. In order to be able to do that, you need to install special tracking software which provides the option of incoming calling restriction. Pay attention that not all the providers offer this option, besides this option may not be available for Apple devices. Learn attentively what exactly the chosen software offers, and if you are satisfied with everything and really have the opportunity to block incoming calls, try the app with demo mode if it is available. For example, mSpy provides the function of blocking incoming calls for mobile devices running on different OS, including the most popular iOS and Android. mSpy provides users with opportunity to test the services with the demo version. Just add the number to the box with restricted numbers and no one will bother your kid. Possibility to block incoming calls on the target device is one of the best methods to make the life of your kid a little bit safer. If you do not want your kid to have any contacts with people you do not know, you can easily restrict them with special app. However, to make sure that your child is safe, you’d better use all of the options that software offers. In this way, you will be able to know who of the contact list of your child should really be blocked. For example, you may read messages, listen to the calls and watched received files.